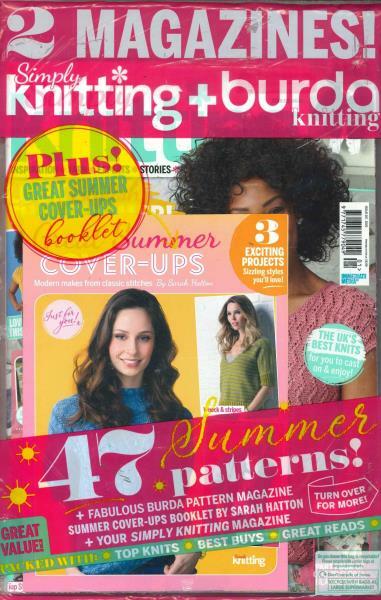 Simply Knitting can easily be considered among the best selling magazines for knitting in the UK. Whether you are an amateur or you have been into knitting for many years, you will always find a lot of exclusive patterns, great buys and knitting news with every issue. The magazine can be found in a friendly as well as a cheerful format of writing that would keep you far away from boredom while reading it. The intermediate and the beginners gain the most from this magazine. It has a wide variety of features and the whole content is laid out in an extremely attractive and a friendly way. The magazine acts as a link between the knitter and the world-of knitting, where the person gets to know completely well and stays updated about patterns starting from big manufacturers from around the world to the exclusive toy making patterns from the very famous Alan Dart. The magazine would keep you informed about the way to buy hand-dyed yarn that is produced by the ones who do businesses from kitchens itself. Also, if you are a beginner in this field of knitting then this truly would be the appropriate place to start doing it since it shares some great ideas about knitting especially for amateurs. The numerous beautiful patterns available in the issue would blow your mind which might spark an interest for knitting. Excellent, with a lot of knitting projects and also Alan Dart projects!!! Very good magazine. I am very happy with it.